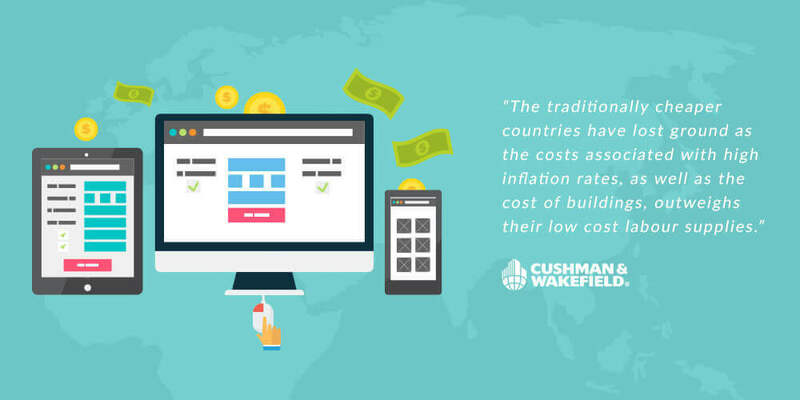 According to the 2015 Cushman & Wakefield global comprehensive report, Vietnam is now the world’s premier destination for business process outsourcing (BPO). The announcement, which came in late March, completes a stunning rise to the top for one of Asia’s most dynamic young economies. In 2014, Vietnam ranked 5th on C&W’s index behind Eastern European countries such as Romania and Asian competitors like the Philippines. However, in 2015 several factors combined to give Vietnam a substantial edge over its outsourcing rivals. While one-time outsourcing behemoths like China and India struggle to adapt to changing workforces, Vietnam is on an opposite trajectory. Unlike the traditional powers, Vietnam’s labor pool is moving toward greater efficiency as an outsourcing resource. Low costs are only part of the equation. According to the C&W index, “large scale investment in both education and training has helped many Vietnamese develop high levels of literacy and numeracy skills that have enabled its workforce to move away from low-productivity agricultural jobs into higher productivity office work.” At all levels of Vietnamese society, the importance of education is being recognized. With over 90 million people, Vietnam is one of the largest emerging talent pools in the outsourcing field. The C&W index reports that, “the median age of the country is under 30,” and that “1–1.5 million people its labour market each year…” These people are increasingly capable and well-trained. Many young Vietnamese workers now graduate from universities with international standards, such as the Royal Melbourne Institute of Technology (RMIT), an Australian university that has opened satellite campuses in both Hanoi and Ho Chi Minh City. The C&W report also identified perceived improvements in the political situation as reasons for Vietnam’s ascendance to the outsourcing throne. The lower level of risk combined with improving business conditions (which will be discussed at length in a future article on this site – keep your eyes open) means that assigning key business processes to Vietnamese partners has never been easier or (perhaps more importantly) as lucrative. After all, while political stability and internationally-recognized educational standards are nice, organizations considering an outsourcing solution have one overriding priority: profit. 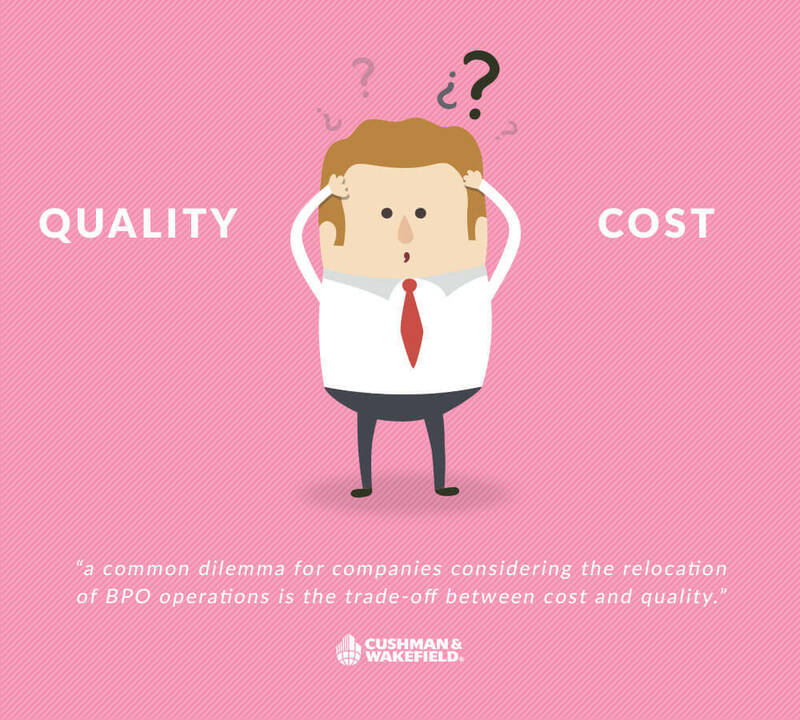 As the C&W report mentions, “a common dilemma for companies considering the relocation of BPO operations is the trade-off between cost and quality.” Beneath the academic-sounding language lies a simple truth: you get what you pay for. In Vietnam, your dollar (or euro, or pound, etc.) gets you much more than it would elsewhere. Smart companies have already recognized this – in surprising numbers, as it turns out. According to the C&W report, over 1,000 software companies have already popped up in Vietnam, with more than 80,000 employees. In the fast-paced world of IT outsourcing, there is little time to waste. Vietnam has long flown under the radar in the global software outsourcing market, but recent developments have raised the country’s profile to the point that even casual onlookers must take notice. Its young, rapidly multiplying population is taking great strides forward as a tech-savvy talent pool. Together with low costs and favorable business environments, the combination is alluring. As many have noted, there has never been a better time to outsource - and there’s currently no place better to do it than Vietnam.